Here he is deep inside the cave inside the Misty Mountains looking for "My precious" the magic ring of power. Bilbo discovers the ring and puts it in his pocket as he wanders lost inside the mountain.. Gollum challenges Bilbo to a riddle competition. If Bilbo is the winner Gollum is supposed to show Bilbo the way out of the mountain. If Gollum is the winner he will eat Bilbo!!! Gollum is treacherous and untrustworthy. 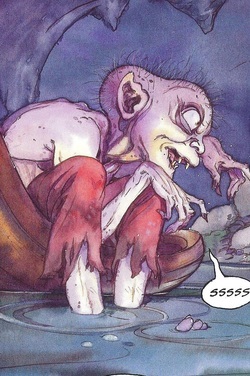 Bilbo wins but suspects Gollum and puts on the ring which makes him invisible. He then follows Gollum out of the mountain and escapes. Gollum is furious that his meal escaped. This is from the graphic novel version of the book. 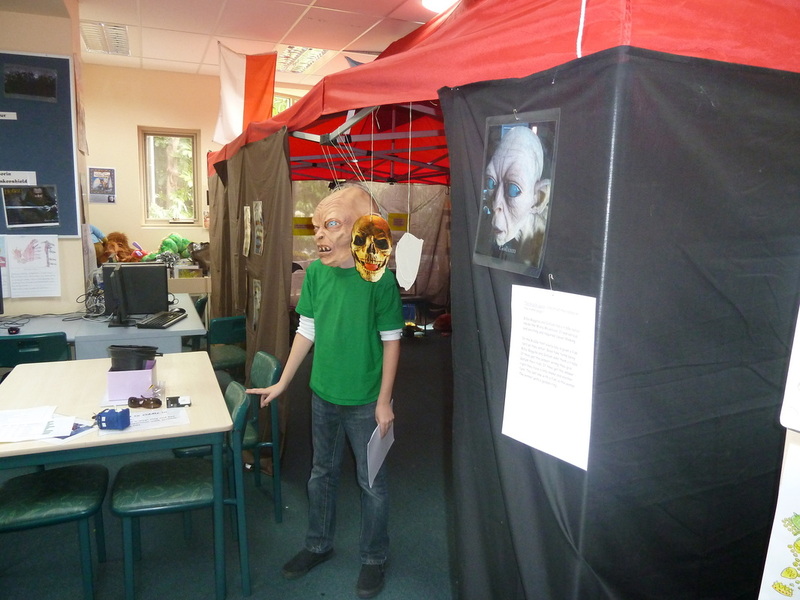 This is our Riddle tent with Gollum waiting to entrap the unwary.